written by a friend and mentor Ray Barnett. I have worked with with Ray to provide pastoral training to emerging leaders in Siberia and elsewhere. In the book Ray asks, “Why is it that God has given us such a large chunk of the Bible in the form of Old Testament History?” The answer, as Ray puts it, is not to provide us with more Bible quiz material but rather to give us a view into how God has worked through history so that we might understand how he might be working today. 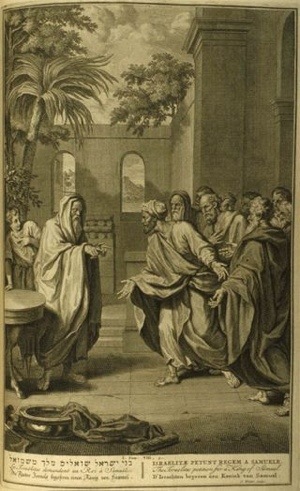 The elders came to Samuel saying, “We don’t want the Lord to rule us. We want a king.” Why? Verse 20 tells us: they wanted someone else to fight their battles. Samuel warned them about the consequences this would entail but the elders persisted. The result was King Saul and all the suffering that came with him. There is thoroughly entrenched within our church life an unbiblical two cast system. There is a clergy caste which is trained, called, paid, and expected to do the ministering. And there is the laity caste which normally functions as the audience which appreciatively pays for the performance of the clergy . . . The greatest problem in the whole business is that the Bible’s view of ministry totally contradicts this system. We are found in the awful dilemma of trying to fulfill the ministry ideals of scripture with an unscriptural ministry system that is totally inadequate for the job! No matter how high we raise the requirements for the clergy, it will never be adequate to approach the kind of production and life envisioned in the Bible! Things can be different. It all begins with trusting Jesus to be King. This entry was posted in Government on June 3, 2012 by Steve Godfrey.